Earlier this week I read a wonderful YA book that I knew was perfect for criminally underrated Friday! The novel has a basic Breakfast Club-like set-up: teens who normally wouldn't interact in regular social discourse are forced together, and the results are awesome. Declan and Neilly couldn't be more different. Declan is into death metal and violent video games. Neilly is one of the popular kids. And they're about to become step-siblings. 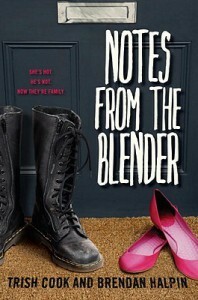 NOTES FROM THE BLENDER is a seriously feel-good, funny, and poignant work of contemporary YA fiction. Declan in particular has a wonderful voice, but both teens and their problems are portrayed realistically and appealingly. And if their dialogue seems a little sophisticated, I can forgive it. I especially love that the book illustrated teens who have complicated but overall loving relationships with their parents--no evil parental figures here. 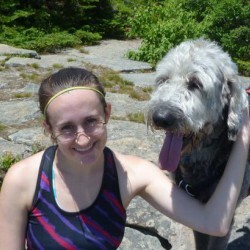 If I have one complaint about the book, it was that Neilly wasn't quite as rounded as she could have been. Unlike Declan, she didn't have any interests or hobbies, and this made her seem a little flat to me. But overall, I was thoroughly charmed by NOTES FROM THE BLENDER. Recommended for fans of the Dairy Queen series, and readers who are tired of fantasy / dystopia / apocalypse and want a good ol' contemporary read.